I know I posted it in last year’s pancake related post, but can I just stick this in here, please? Anyway, I’m working hard and am flipping (flipping! As in flipping pancakes! Ha! I am slightly amusing) tired in the evenings so I think tonight’s pancakes will be of the very simple lemon and sugar variety (although I do have pears that need using up and might cook them off in some butter and maple syrup and have those too). But I thought I’d post this as these pancakes are a great thing to have for a super fast tea and is great for children. 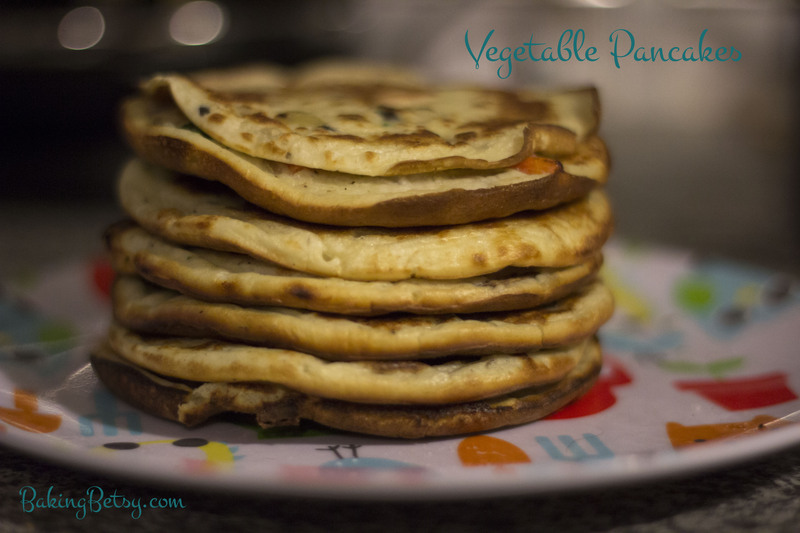 I used to make these a lot for Betsy while we were still doing baby led weaning – they’re BRILLIANT for that, they freeze really well and you can put anything you like in them too; they’re a great use up whatever you have in the fridge dish and it’s entirely up to you how much veg you use as well. This makes about 10 mini 12″ pancakes (I use this doody mini frying pan I got cheap in TK Maxx). 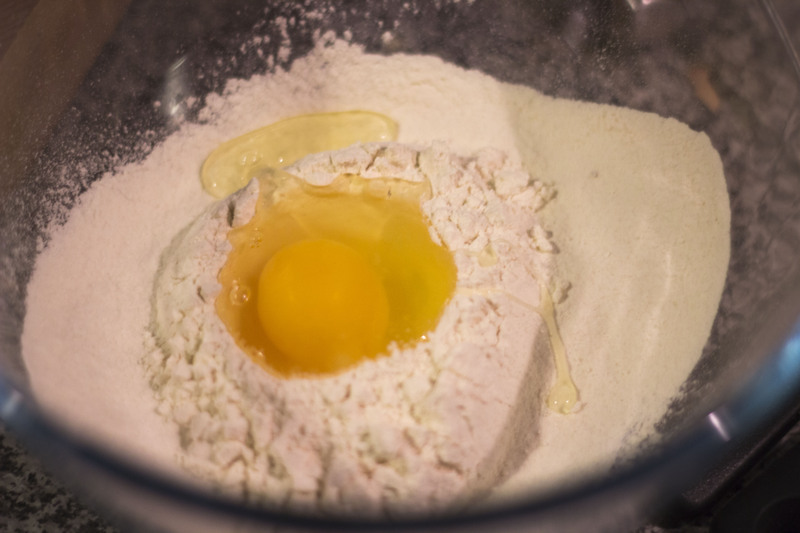 Sieve the flour into a bowl, make a well and add your eggs. Whisk them up and add half the milk, whisk again until the mixture is smooth and then mix in the rest of the milk. Add your cooked veg and any seasoning. 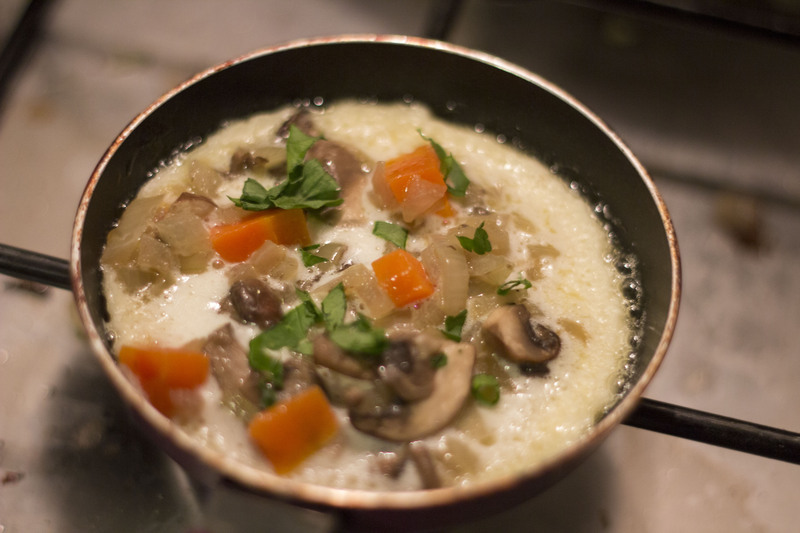 Heat up a frying pan, add a knob of butter and ladle in your mixture. Cook for a couple of minutes on a low heat and flip over with a pallet knife and cook for another minute or so. Eat now, or freeze for later.